This classic book is essential reading for all those interested in the development of modern physics. 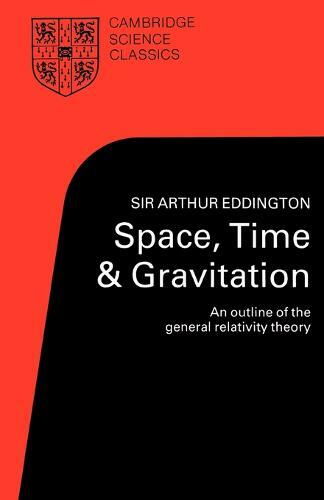 Sir Arthur Eddington's account of the general theory of relativity, 'without,' as he says in his preface, 'introducing anything very technical in the way of mathematics, physics or philosophy', was first published in the exciting days of 1920 soon after the first objective tests of the theory had demonstrated its validity. The book was at once received with acclamation by reviewers and remains today one of the simplest and most straightforward accounts in print. The reviewer in the Athenaeum described it as 'a masterly book. The arrangement, the vigour and ease of the reasoning, the felicity of illustration, the clear, flexible prose and (we must mention it) the wit, make this book one of the most adequate and engaging attempts at the non-technical exposition of a scientific theory that it has ever been our good fortune to encounter.' This reissue includes a foreword by Sir Hermann Bondi, FRS, giving a brief appraisal of the book, and placing it in its historical and scientific context.